SKU:BE04. 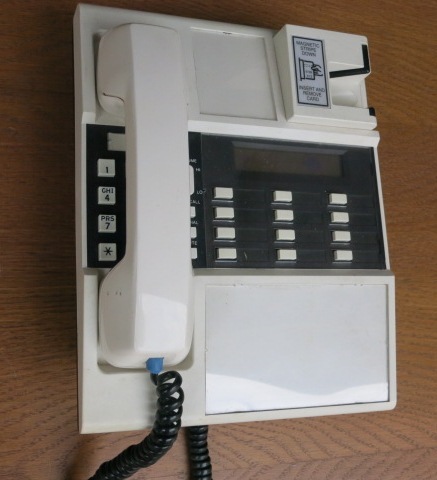 National Cash Register (NCR) phone. Black: quantity 1. 1940. SKU: BE11. 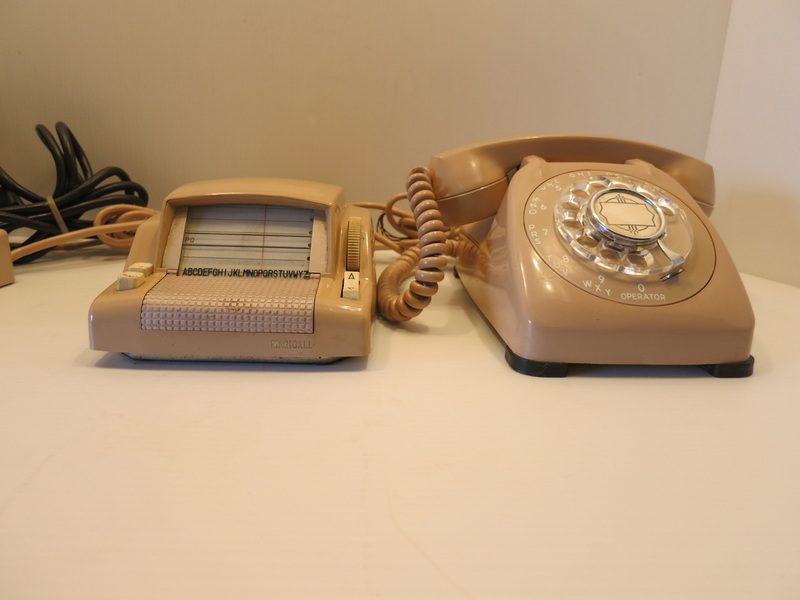 RC Allen calculator with or without cash drawer . Black: quantity 1. SKU:BE16 . Remington portable typewriter with case. Black: quantity 1. Circa 1925. SKU: BE13. Remington typewriter with red keys. Black: quantity 1. Circa 1920. SKU: BE14. Olympic portable typewriter with case. White: quantity 1. SKU: BE 17. 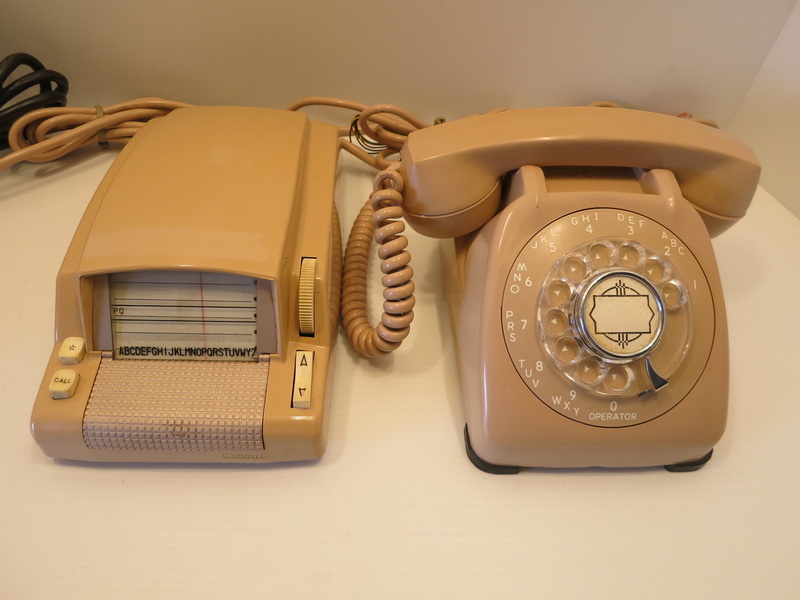 Magicall Dialer (Early automatic dialing equipment). . Beige: quantity 1. Circa late 1950's. SKU: BE17. Beige: quantity 1. Circa 1950's. SKU: BE01. 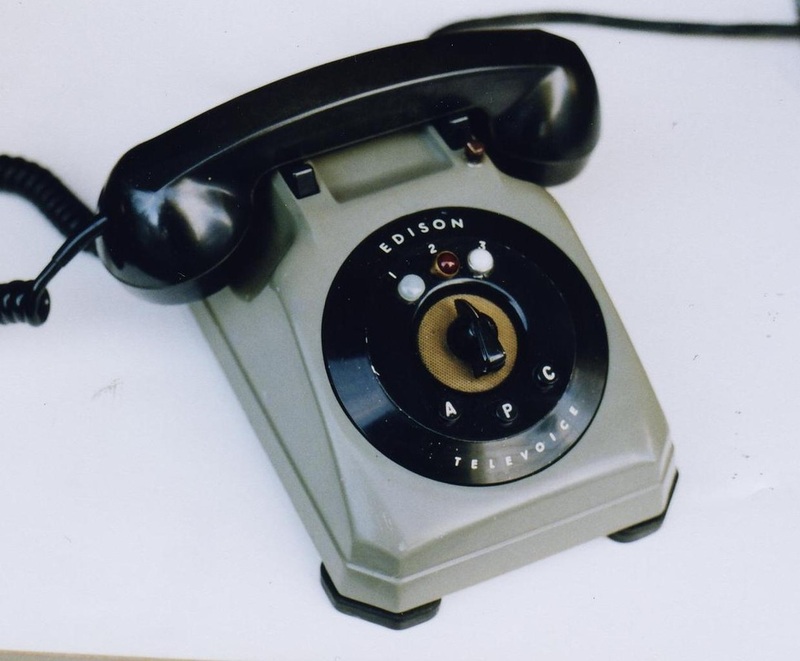 Edison televoice. Grey & black: quantity 1. Circa 1950. SKU: BE02. 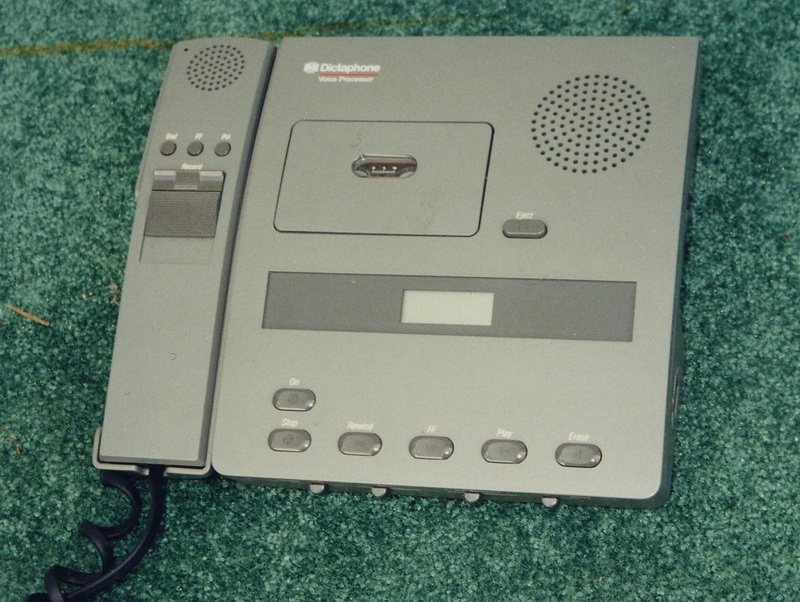 Dictaphone telecord station. Black: quantity 1. Circa 1960. SKU: BE03. 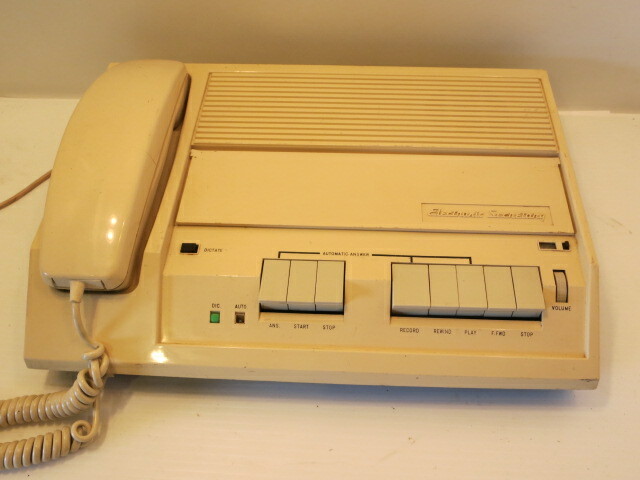 Answering machine. Ivory: quantity 1. Circa: 1970. SKU: BE05. 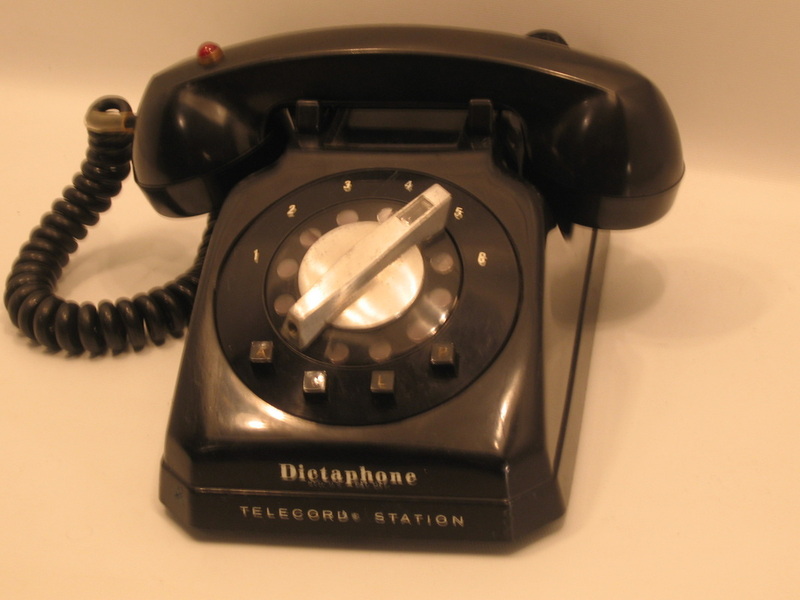 Dictaphone answering machine. Charcoal: quantity 1. Circa 1990. SKU: BE08. 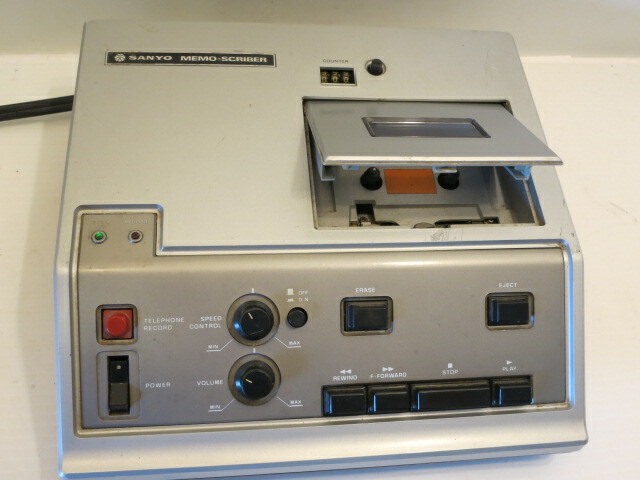 Sanyo answering machine. Silver: quantity 1. Circa 1980. SKU: BE06. Desk top credit card reader. White: quantity 1. Circa 1995.